The publisher, Barefoot Books, specializes in high quality artistic illustrations. This book is no exception. The text, one of the most beautiful poems I have heard in a long time, was submitted anonymously to Mother Bridge of Love, a charity which aims to reach out to adopted Chinese children, throughout the world. 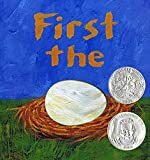 This is one of my favorite Mother Goose books. Each rhyme cleverly leads to the next, the pictures are great, and the book is short enough to read in one sitting. One and two year olds will quickly memorize many rhymes. Maisy mouse is done playing for the day. The sun is setting and she must go to bed. The story is ultra simple, but infants and toddlers will love it. 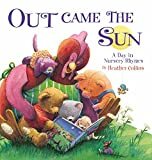 The text is much more poetic than Lucy Cousins' other books, and the simple sunset pictures are soothing. A clever book depicting a monster, made out of overlapping geometric shapes and colors. The book starts out with the (non-scary) monster. Then page by page, the monster's features disappear until there is nothing left. A catchy rhyming book with the refrain 'Ten Little Fingers and Ten Little Toes.' The illustrations are cute and full of babies. 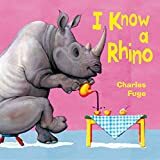 A really catchy rhyming books that even your infants will be able to memorize. Fuge is known more as an illustrator, but the text of this books is quite excellent. A catchy book that rhymes about 80 percent of the time. At first that fact that it didn't rhyme completely annoyed me, but after reading it 12 times, it has really grown on me. Little infants will love it. 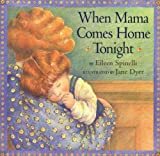 A great sing-along book. It's the Itsy Bitsy Spider but with many new verses that you have never heard. Your toddler will love singing along and finishing verses. A heartwarming classic about unconditional love, through the generations. A great book to read to a child of any age. 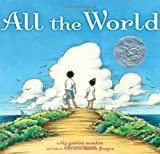 A catchy rhyming book that tries to show how the world is made up of seemingly opposite things. First the egg, then the chicken. First the tadpole, then the frog. First a word, then the story....First the chicken, then the egg. The text comes full circle and it sort of explains the paradox of the chicken and the egg to a small child. It is hard to write a clear review of this book: any review would probably have more words than the actual book. The pictures are excellent and the text is very simple, but poetic. 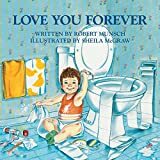 You will find that your two year old will be able to memorize the entire book and pretend read it, after only being read it for a week. A clever book to teach small children their colors, without boring the reader to tears. 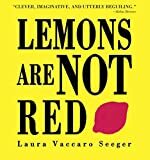 It starts out 'Lemons are not red [page 3 is the cutout of a lemon, while page 5 has a red background, so the lemon looks red. Then you turn the page and since page 2 is yellow, while reading page 4, the lemon looks yellow. Pick up the book, it will be much clearer] Lemons are Yellow, Apples are Read...' The illustrations are simple, yet rich and interesting with bright colors. I think a book like this has more of a chance of teaching colors than many other books. Daisy is little duckling who strays a little to far from her mother. The impressionist style illustrations are wonderful. The text is simple and smooth. Beautiful poem book about a working mom. Really young toddlers will enjoy it. This is a collection of three poems (by Wells), set to pictures by Wells. The poems are simple and soothing. The pictures are large and thoughtful, and printed with a metallic sparkly paint. I have read this book at least 50 times and I still enjoy it. Three short little stories about love. One from a father, the second from a grandmother, the third from a mother.